“Season” is around the corner, so let the calendar packing begin! 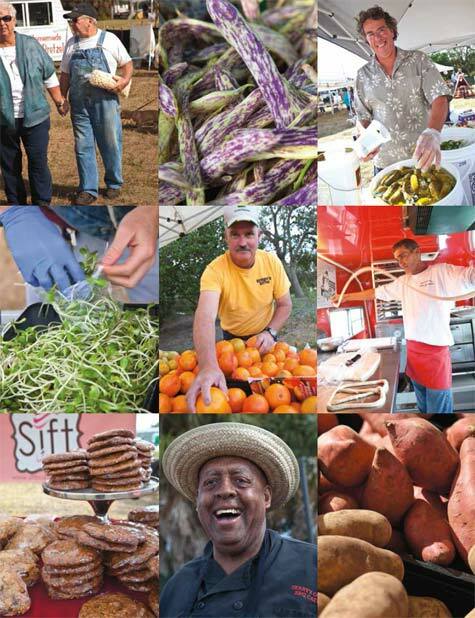 Art festivals, farm dinners, cooking demos, plant sales and volunteer opportunities are bountiful. How will you ring in the harvest? Stay tuned for more ideas in our October issue. and comforting. Indulge and report back. Join us for a Fabulous and Fun Evening with your favorite restaurants vying for the coveted Chowdown for Charity Trophy – Judged by Celebrity Judges and YOU! Come rub elbows with the community’s exceptional chefs, sample their finest restaurant fare, and be tantalized by the dishes prepared by the area’s top restaurants. 10 of Manatee’s best restaurants will show down to compete in the area most exiting chef’s competition. Participating restaurants will present their best dish to the judges and will be judged on appearance, creativity and taste in order to be qualified for the coveted “Best in Show” award. Most tastefully -attendees will be able to sample these delectable dishes! Even more exciting and impressive is the student culinary competition during the event. 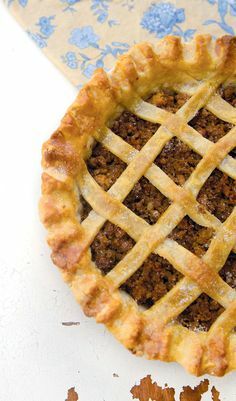 Guests will be treated to mouthwatering desserts prepared by the culinary students from Manatee Technical Institute, Manatee High School, Southeast High School and the Hospitality Program at USF Sarasota-Manatee. Local favorite celebrity chefs, Tommy Klauber (Pattigeorge’s and Polo Grill) and Ray Arpke (Euphemia Haye) will be judging the student entries category of the event and will award gold, silver and bronze recognitions to the winning school’s entry. Idyllic and decadent, the Loft 5’s table-to-farm dinners at King Family Farm give patrons an inside look at homegrown cuisine. 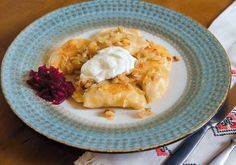 At 6:30 p.m. Wed. Sept. 25, a three-course menu of local food includes sweet peppers stuffed with quinoa and wild rice, Florenca lasagna with garden tomatoes and shaved Parmesan cheese, and Southern Living-inspired lemon drop squares, among other delights. Cost is $25 per person, not including tax and tip. King Family Farm: 4630 60th St E, Bradenton, 941-779-9801; kingfamilyfarmandmarket.com, theloft5.com. The Loft 5 is one of the many restaurants participating in the amazing “Culinaria!”event-an opportunity from now until September 28 to explore the diverse culinary landscape of Manatee County. 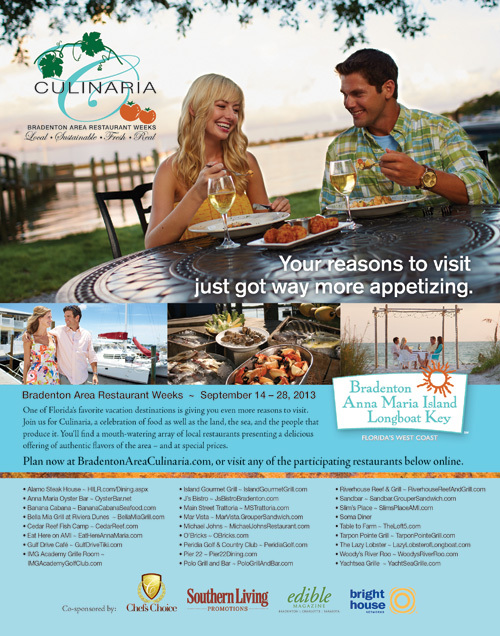 Co-sponsored by the Bradenton Area Convention and Visitor Bureau, Southern Living, Edible Sarasota and Chefs Choice, “Culinaria!” will allow patrons to dine for $15 at lunch and $25 at dinner. There are also chances to win trips to New York City. An international gastronomic extravaganza, the annual “Village de Chefs” will unite chefs from across the globe on October 8 and 9. Spearheaded by chef Jose Martinez of Longboat Key’s Maison Blanche Restaurant, the event will bring together 25 of the world’s top French chefs from Australia, Bali, Belgium, Vietnam and beyond. The chefs will introduce locals to French cuisine and wine, and teach techniques to culinary students and professionals. This is also the first time the gathering has been hosted outside of Paris, France. What a coup! 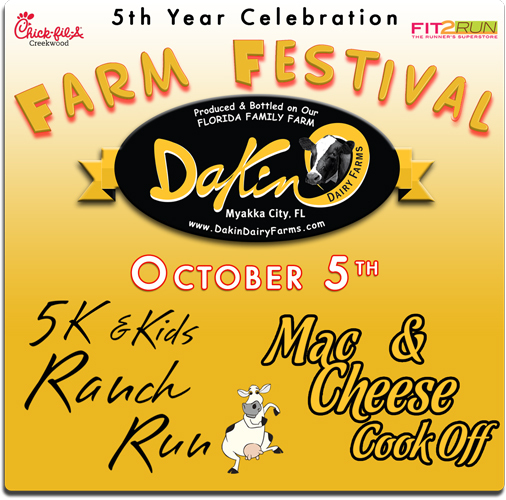 Myakka City-based Dakin Dairy Farms – a multigenerational dairy farm and center for agriculturally based attractions – proudly celebrates its fifth successful year of agritourism with a fun-filled Farm Festival. Held on Saturday, October 5th from 10am-5pm, the family-friendly event will feature a Mac & Cheese Cook-Off and a Five-Mile Ranch & Kids Run, plus an assortment of games, food, artists, prizes for all ages, live music featuring Kim Betts & Gamble Creek Band, and demonstrations on Himalayan Salt Cooking, care for plants and fruits, and goat soap making. Admission is just $15 for all attendees. The Mac & Cheese contest is open to the public, enter to win a cash prize or a gallon of milk a week for a year! 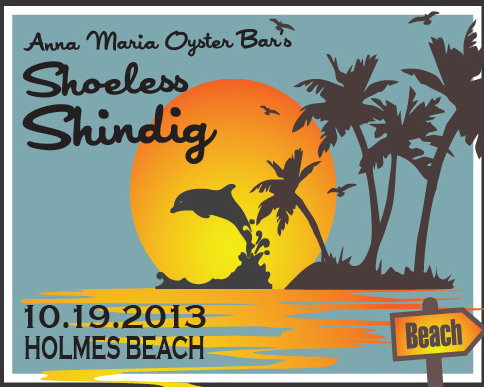 Kick off your heels for Anna Maria Oyster Bar’s “Shoeless Shindig” from 5:30 to 9:30 p.m. Sat. Oct. 19 at 102 48th St. on Holmes Beach. Savor food and wine pairings, bourbon tastings, craft beer, a Patron tent, cigar rolling, live music, midway games and a raffle. The event will raise funds for the Manatee Education Foundation, PACE Center for Girls, and the University of South Florida College of Hospitality and Technology. Tickets are $100 per person and sponsorships are available. Wednesday shoppers can rejoice as the Phillippi Farmhouse Market reopens for the season. From 9 a.m. to 2 p.m. beginning on October 2, the area’s only midweek market will feature 45 vendors, the music of the Ted Stevens Trio, free sweet treats from Sift Bakehouse, and puppet storytelling by Connie Manson of the Waldorf School (at 9:30 a.m.) At 10 a.m., take a free, guided tour of the historic Edson Keith Mansion, followed by an hour-long gardening class at noon inside the mansion. Heat oven to 400˚. Heat oil in large nonstick skillet over medium-high heat. 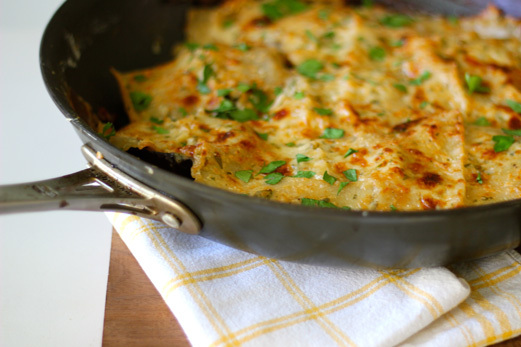 Working in batches, add eggplant and cook until browned, about 4 minutes per side, adding additional oil as necessary. 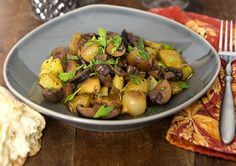 Transfer eggplant to plate and season generously with salt and pepper. Melt butter in now empty skillet over medium-low heat. Add onions, garlic, and season with salt and pepper. Cook until soft and golden, about 5 minutes. Add flour and cook, stirring, for 1 minute. Slowly stir in milk, using spoon to break up any lumps, and cook until just thickened, about 5 minutes. Stir in ¾ cup cheese, parsley, sage, nutmeg, and season with salt and pepper. Transfer sauce to bowl leaving ⅓ cup on bottom of pan. Cover sauce with 4 noodles, top with ⅓ cup sauce, and a layer of eggplant. Repeat layering of sauce, noodles, sauce, eggplant. Top with remaining noodles, sauce, and cheese. 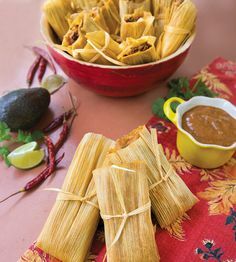 Bake until browned, 30-45 minutes. Let stand 15 minutes before serving topped with parsley. NOTE: To jazz up the leftovers, try serving it with your favorite tomato sauce. Star-studded and culturally rich, the Ringling International Arts Festival (RIAF) brings a little bit of New York City to Sarasota every October. Prep for the upcoming four-day fest with the “Ringling Underground” event from 8 to 11 p.m. every first Thursday of the month in the Ringling Museum courtyard (the next one is October 3). Enjoy interactive art, live music and pop culture in a “block party atmosphere,” and enter to win tickets to RIAF performances and the festival’s lavish closing night party. Under the artistic direction of New York’s Baryshnikov Arts Center, the RIAF runs from October 9 to 12 and showcases dance, music and theater performances in intimate venues. “Underground” gatherings will continue in November, February, March and April. Well, it happened- I finally realized that I weighed more than I did when I was 9 months pregnant (27 years ago). 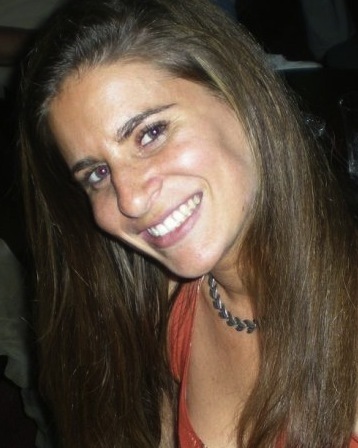 So, with the support of Kori at Cutting Loose Salon and fellow foodies that are looking to lighten their load, eat unprocessed food and let go of gluten, I joined the Paleo lifestyle. With a few modifications since I am a professional chef and food critic-I gave up dairy, soy, gluten, sugar and legumes and all grains. Yes, the first month is a challenge but here is the thing, I already noticed I was becoming lactose sensitive, I really don’t like sugar and I don’t want to weigh things and portion out all my meals. I love grilled duck breast and organic roasted chicken with parsnips. Welcome to the cavewoman world! trust me the weight melts off, you feel better and yet, you can still be a food critic! At least in your own home. Want to give it a try- check out the video’s for what to buy. Volunteer to dig in the dirt for a good cause during the Green Apple Day of Service at the Gocio Edible School Garden. At 9 a.m. Sat. Sept. 28, bring a hat, gloves, water bottle and garden tool (shovel, trowel, garden fork) to help set up raised beds and plant trees. Gocio Elementary School: 3450 Gocio Road, Sarasota, 941-361-6405; sarasotacountyschools.net/schools/gocio/, mygreenapple.org. 9th Annual Plant Sale and EdFest from 8 a.m. to 1 p.m. Sat. Oct. 12 at Twin Lakes Park. 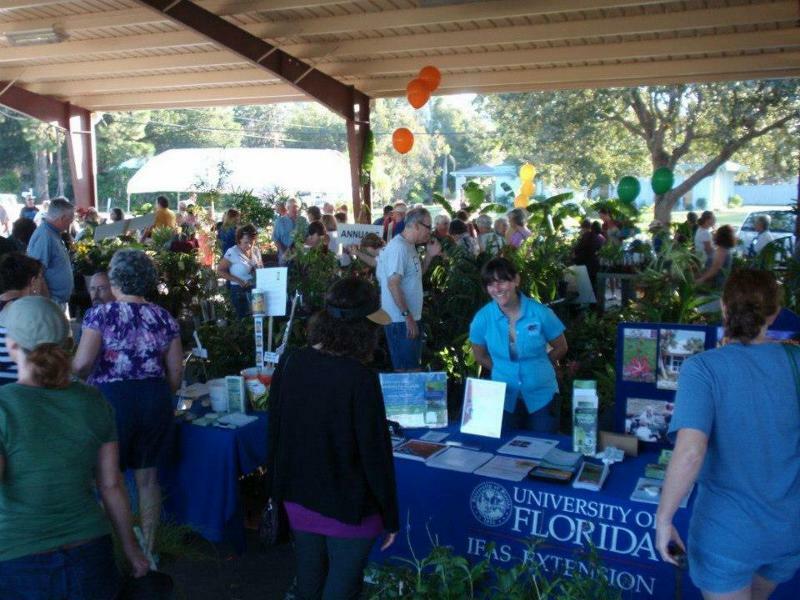 presentations and workshops by UF/IFAS Extension faculty members and volunteers. UF/IFAS Extension Sarasota County: Twin Lakes Park, 6700 Clark Road, Sarasota, 941-861-9900; sarasota.ifas.ufl.edu. 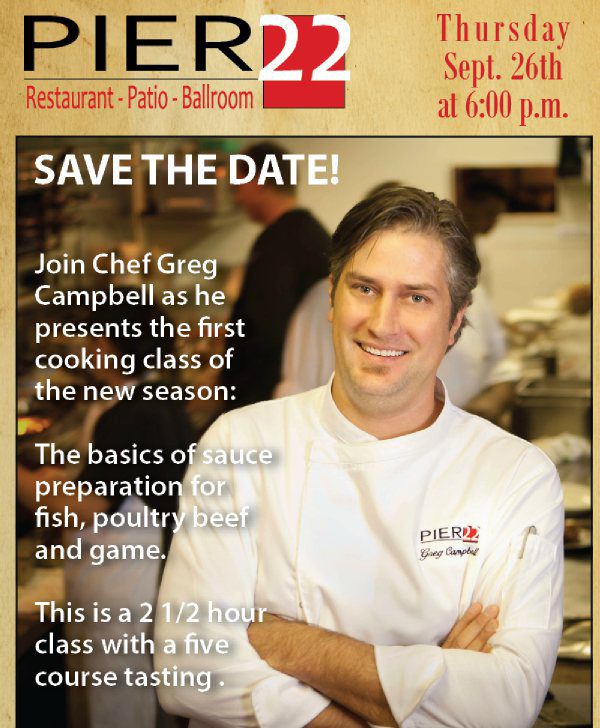 Learn the basics of sauce preparation with chef Greg Campbell of Pier 22 Restaurant. This month’s 2.5-hour class will be held at 6 p.m. Thurs. Sept. 26 and include a five-course tasting for $29.95 per person plus tax, tip and beverages. 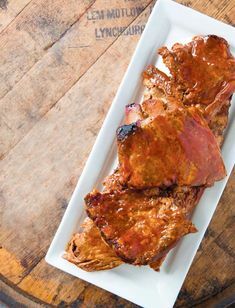 How do you sauce your fish, poultry, beef and game? Find out Campbell’s secrets. Reservations are required. Pier 22: 1200 First Ave W, Bradenton, 941-748-8087;pier22dining.com. 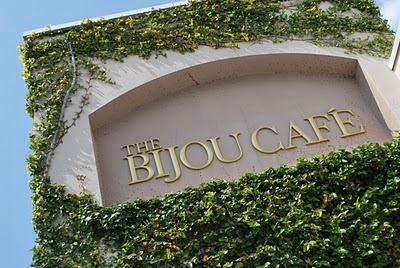 Spend the first eve of the weekend at the Bijou Café for a sampling of 18 wines. 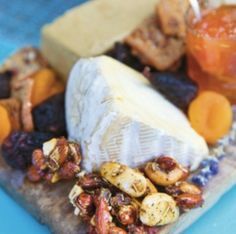 From 5 to 7 p.m. Oct. 4, partake of hors d’oeuvre, finger foods and a massive artisanal cheese board. Bonus: Buy a case of any wine for 10 percent off. Cost for the wine tasting is $18 per person. We don’t want you to miss the Ride of your Life! Join our Team TODAY to ride in the American Diabetes Association’s Tour de Cure Southwest Florida on March 30, 2014. Registration is regularly $15 (will go up to $25 on 1/14) but we would like to offer you this DISCOUNT! Yes it is early to register, BUT the Tour has a special announcement about a Fall Promotion – you won’t want to miss! Fill out your information and away we go! change the future of diabetes! Cosimo’s now offers a convenient and affordable three-course meal for takeout, the perfect solution for families on the go! For only $29.99*, you get large portions of salad, penne pasta, and pizza…enough to feed a family of four (additional servings can be added at $7.50 per person). Salad choice is house or Caesar; pasta choice is pomodoro with meatballs or bolognese; pizza choice is classic Margherita or NY-style cheese (topping can be added for additional cost). Cosimo’s business partners get 5% donated back to their school when they order Family Style To Go and mention school name. Call Cosimo’s at 941-922-7999 to place your order — available 7 days/week, takeout only, all plates and utensils are provided. 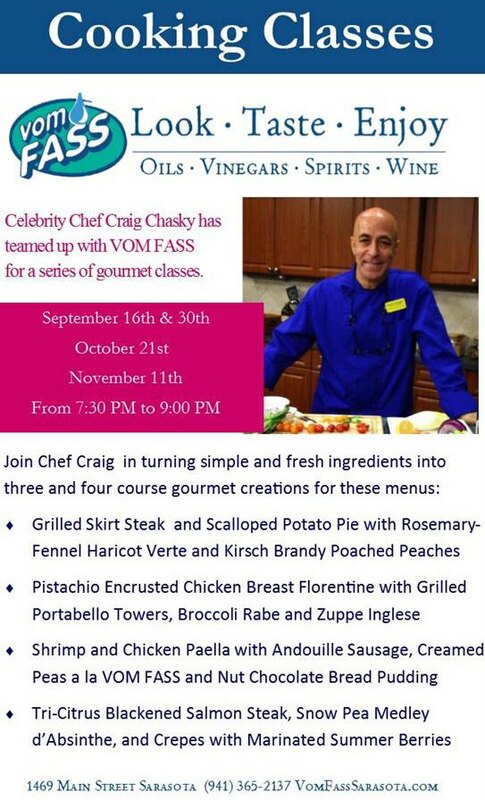 Cosimo’s: 5501 Palmer Crossing Cr, Sarasota, 941-922-7999; cosimos.net. You had us at three courses for $12.99. What?! Yes, for the entire year, every Sunday and Monday, get stuffed on gourmet fare at the Cooper Creek hotspot. 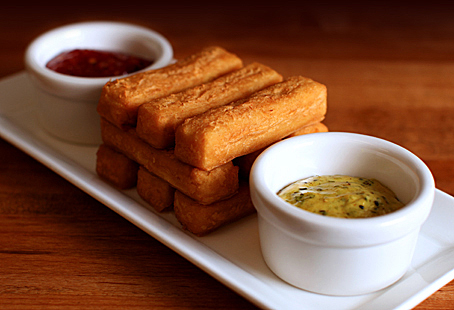 Start with edamame hummus, or chickpea fries with tomato jam and curry aioli. Move onto a black olive Caesar salad with romaine hearts and Parmesan cheese. Finish with steak frites with Meyer Natural Angus beef, béarnaise aioli and Carmel fries. And mix it up the next time with different starters, salads and entrées. Wallet friendly and belly filling. 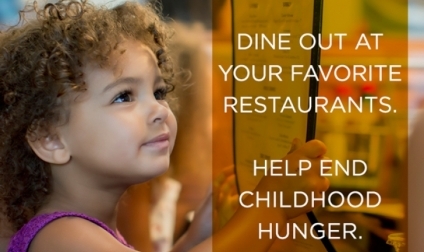 Throughout September, Café L’Europe is donating 100 percent of all dessert sales to the national No Kid Hungry campaign to fight child hunger in America. In 2012, restaurants raised $5.9 million for the effort, so satisfy your humanitarian cravings as well as your sweet tooth this month. 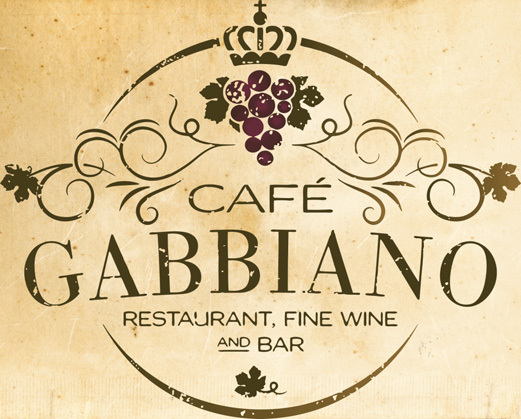 Café Gabbiano: 5104 Ocean Blvd, Sarasota, 941-349-1423; cafegabbiano.com.